In “Melbourne’s playground”, St Kilda, find Robarta. Watch as Robarta transforms from a laid-back and versatile restaurant during the day, to a keypoint in St Kilda’s bustling nightlife during the night… Get the best of both worlds. What’s your plans for the weekend? Casual dinner and drinks, or partying til the early hours of the morning? Robarta has got you covered for both. Dine in at Robarta from 5pm to 10pm Friday to Sunday and enjoy a super versatile menu. You can grab anything from spring rolls, to curries, to burgers - perfect for those groups that can’t settle for just one cuisine type between them. After dinner, Robarta becomes the perfect place to party! Find DJ’s blasting the best RnB, party and house tunes. Closing at 8am Friday, 9am Saturday and 6am Sunday, fit with a 24 hour bar license..
Robarta that ensures that there are no limits put on your night out. Robarta’s spacious interior is fit with deep red mood lighting, rustic features and oriental decor. A perfect space for either the dining or partying experience with a group of friends! 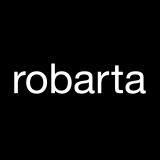 Gather your friends and visit Robarta to celebrate the coming of the weekend.